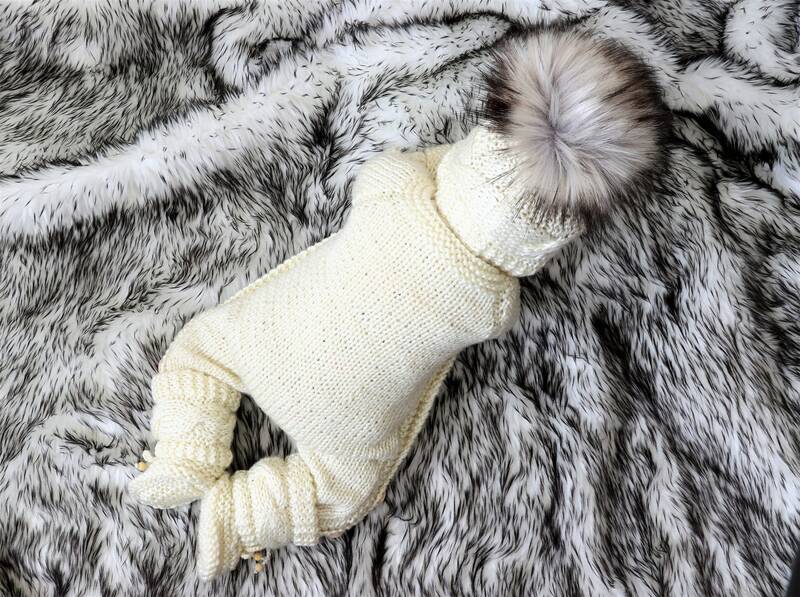 Outfit includes - jumpsuit, hat and booties. 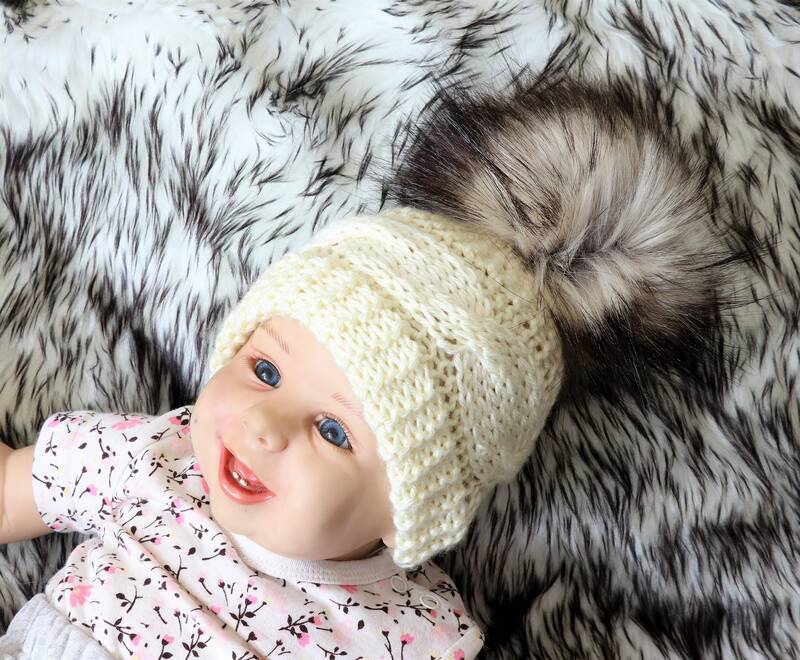 Made with antiallergic soft acrylic yarn. 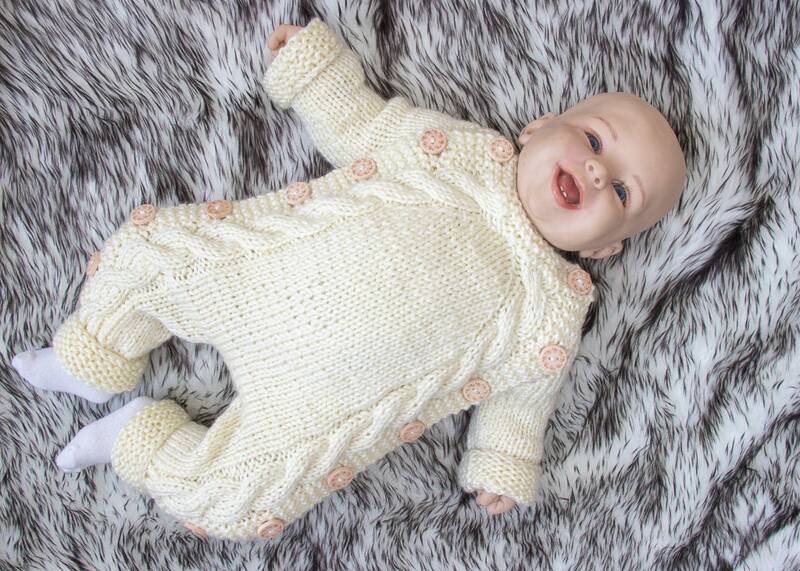 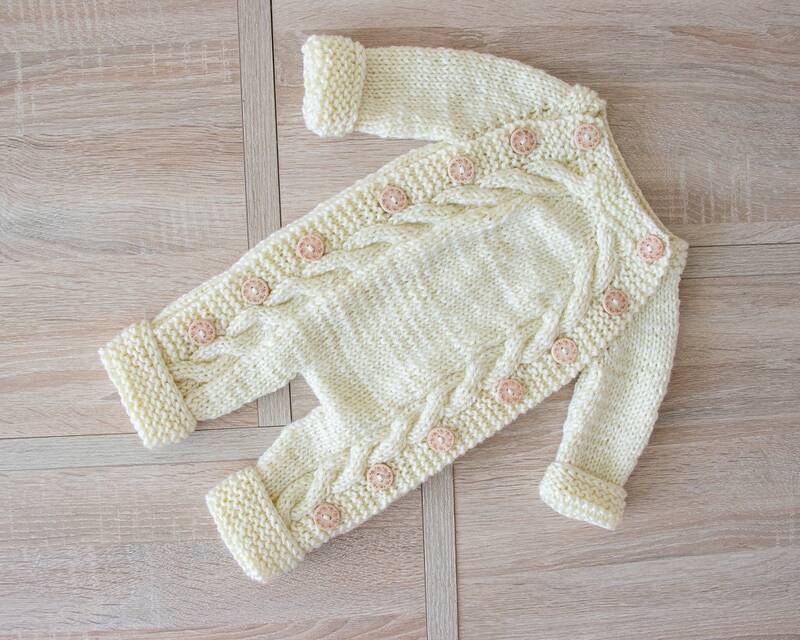 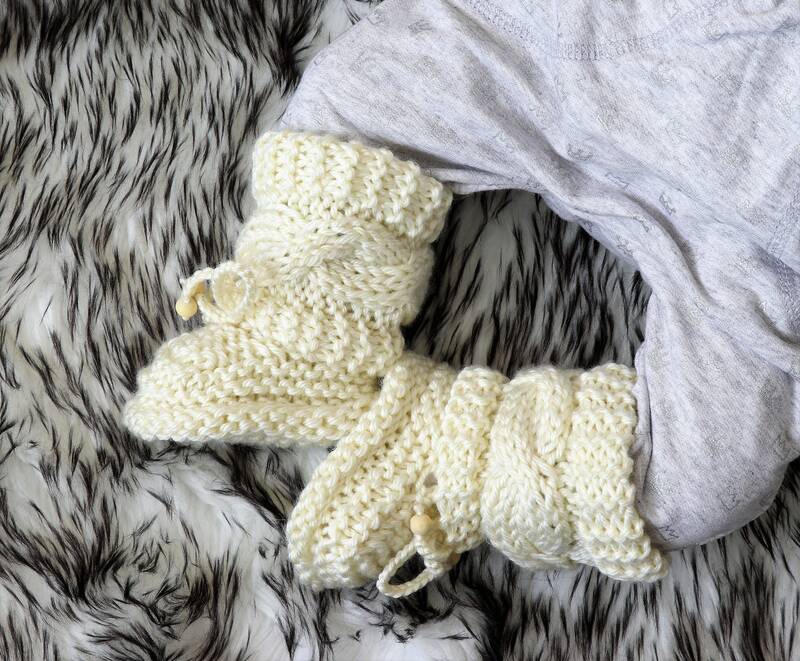 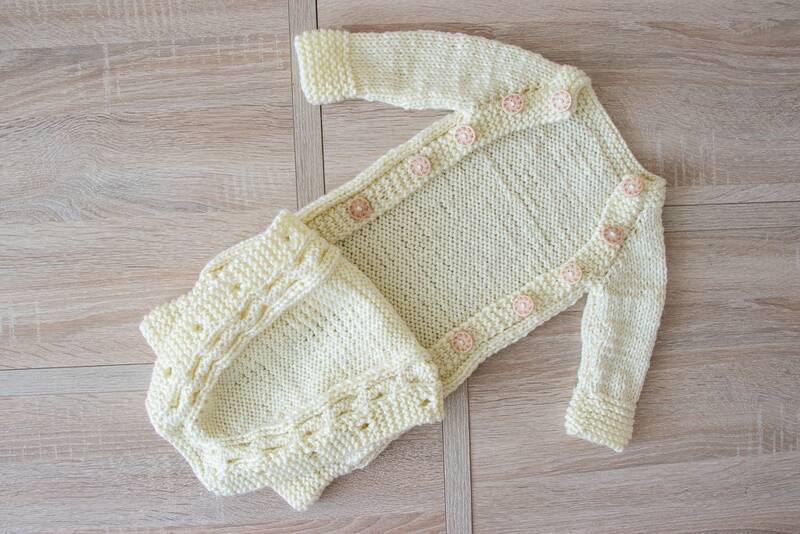 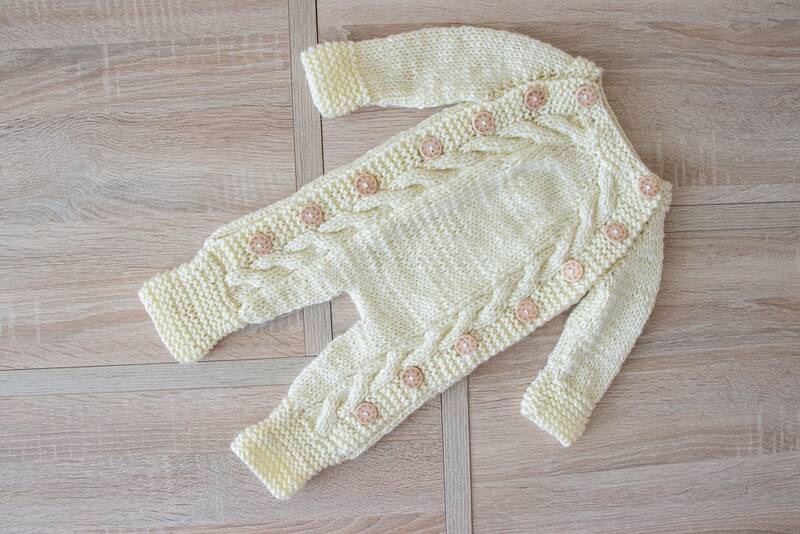 This beige outfit would be perfect for a Baby Shower gift or Hospital gift and it also makes a great family heirloom to pass down from one generation to the next. 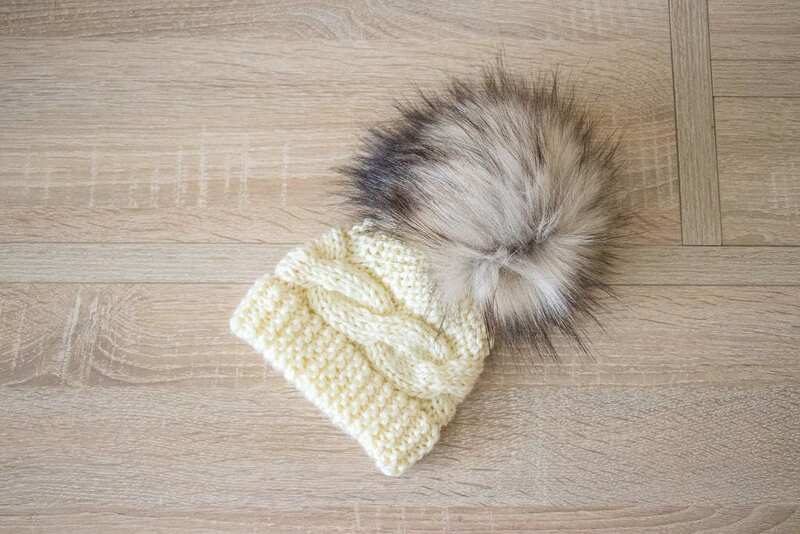 You can choose a hat with Faux fur pom-pom or yarn pom-pom.